How do I receive my license file? After purchasing FileBot via Paddle, you will receive 2 emails. The first email from [email protected] is your payment and license confirmation. The second email from [email protected] will contain your license file (e.g. T1000.psm) as attachment. If you did not receive 2 emails, please check your Spam folder. If you're using a Desktop application to receive Email via POP3 or IMAP, please check the Spam / Junk mail folder via the web interface as well. If you have received no email at all then you have likely mistyped your email address or your mail server is rejecting emails. In this case, please PM me your name and @gmail.com address, so I can manually resend your license. You may Select & Copy the License Key text and then click on Paste License Key in the FileBot application when prompted to activate FileBot. You may Save the Attachment to your computer and then click on Select License File in the FileBot application when prompted to activate FileBot. Microsoft email accounts (e.g. @hotmail.com, @outlook.com, etc) are notorious for blocking emails. Contact us if you did not receive your license file, and consider using @gmail.com for important email in the future. Avoid these email providers at all costs! Use reliably services such as Gmail instead! 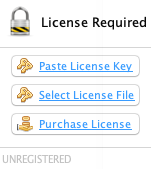 You can activate your license by double-clicking on the license file or right-clicking the license file and opening it with FileBot. I have not received my licence file - can you please send them through again. Please PM me your name and @gmail.com address, so I can manually resend your license. had a nuclear moment and wiped the Mac in a temper , I am now realising I have lost my licence how can I get a new one? Please PM me your name and email address and order number, so I can manually find & resend your license. You can also probably find it in your email archive, unless you deleted it. I think this is the best place to ask this. As a long time user I wanna finally support this project, but have no PayPal/CC, so transferring the money is kinda of an issue. In the Microsoft store I can pay with SEPA which would be the easiest way for me. Can I use the version purchased there to make my docker image functional again? Unfortunately, no. For Linux / Docker, you'll need a universal license which is only available via direct purchase (i.e not the Store). Please PM me with name + gmail so we can figure something out. I suggest a free 1 year FileBot license in exchange for a donation to some EU based open source project (i.e. 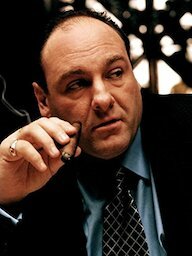 VLC, MediaInfo, etc) of your choice. Just purchased a 1 year license. When I go to activate either by opening license with Filebot or within Filebot I get the same error. Figured it out. My license.txt file was set as read only. Changed that and activated. 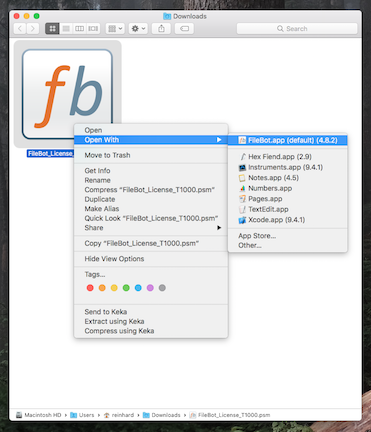 FileBot requires write permissions to it’s own app data folder, otherwise lots and lots of things will break. Do you have any ideas why the app data folder permissions might be read-only? This should never happen. 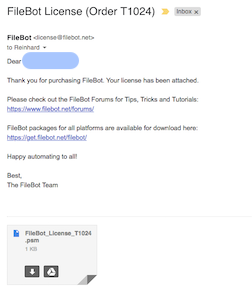 I bought Filebot in the Windows Store, can I use the same license for my NAS? I missed the email with the license file. A Microsoft Store purchase does not enable you to run FileBot on platforms not supported by the Microsoft Store. Can you resend in a ZIP file. Only way I can get an attachment. I'm happy to resend to your gmail address, which is known to always work. Posting so I can PM. I can't download the license file from my email. Hmm, I've just registered and received a Licence key, but its text in a message there is no attachment. I did try to create a key by copying and pasting it but get the License error: Null message so I guess I did something wrong. How do I turn the text into a key (its the GUI version by the way)? I've resent your license to your Gmail address. I'm not sure what the error means exactly, something unexpected, so it must be a corrupted / modified license file, which then isn't valid and can't be parsed. It's possible that your email client messed up the license file. Never heard anybody have issues with Gmail though, so that'll work. The license key is plain text, so you can just create a plain text file, paste and then you have a license file. But that's not usually necessary as you should have received your license file as attachment, but some providers block attachments / strip attachments from email without telling you, so things do get unnecessarily complicated if that happens.